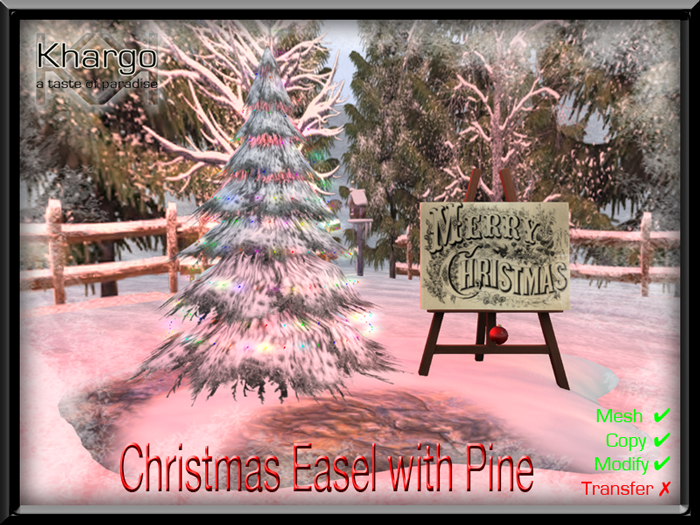 The perfect spot to cuddle or sit by the fireplace or tree this Christmas. Forty couples animations in the rug and 9 single animations for each sitter makes this an extremely versatile rug as you can use it on your own or with a platonic friend when not with your special someone. With a land impact of only 6 it's this season's must have rug! 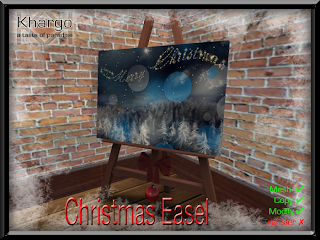 There's snow fun like our new mesh Snowdrift with Snowball Fight Animations! Spend your holidays playing on our snowdrift! With nine animations on each of the 2 spots including making and throwing snowballs, hiding in the snow and making a snowcastle, at only 6 LI it's the perfect landscaping item. 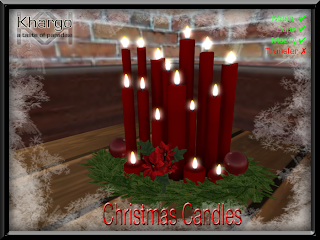 Fill your Christmas with the glowing light of our new Christmas Candles. For a smaller space we also have the single Candle. A very cute decorative item which also has a land impact of 6. 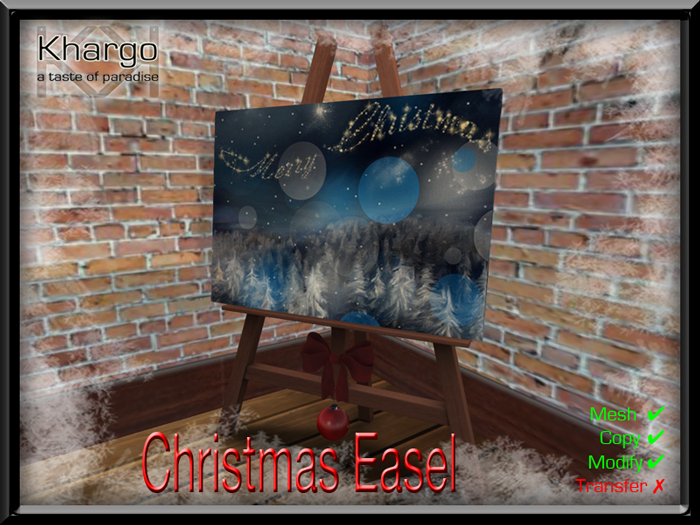 The Christmas Easel comes in 2 versions - indoor and out. 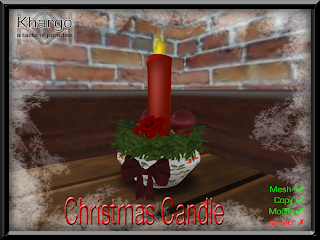 The indoor version has a snowy scene and the outdoor version wishes all your visitors a Merry Christmas. It also includes a snowy pine with festive fairy lights!